Several accounts unfold in this section of the gospel. Jesus addresses the issue of divorce and remarriage (vv.1-12), children are exalted to an unknown status (vv.13-16), the rich young ruler is shocked into reality (vv.17-31), Jesus predicts the crucifixion (vv.32-34), two disciples ask for what can’t be given (vv.35-45), and blind Bartimaeus receives his sight (vv.46-52). There’s so much in this chapter that I’m going to essentially deal with divorce and remarriage. This topic has been a point of contention among Christians in the last forty to fifty years in the States and unfortunately the percentage of divorced couples in the country has been matched by divorce in the church. Why is this? Because in the church of Jesus Christ, historically there’s been a mixed bag of salt, light and mire. At times we represent Christ well and then there are seasons of rebellion where we don’t. We’re no different from Israel, in that way and the key here is whether or not God’s word has a place in our hearts and minds to transform us into Christ’s image. When the word does not, then the word of the culture commands us and we end up hiding our lamp under the basket—this ought not to be. 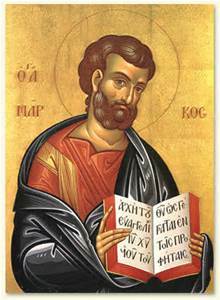 This account points to something that must not elude us: “He went from there to the region of Judea and beyond the Jordan; crowds gathered around Him again, and, according to His custom, He once more began to teach them.”(v.1) May the primacy of the word in the Master’s life and ministry never elude us, but may we emulate it. It’s this word and subsequent teaching that was authoritative, that had power to heal, to convert and power to harden recalcitrant hearts. Note here that divorce in Gods view is sin. It’s a departure from His design for flourishing relationships and it’s also embracing rebellion (I.e., a hard heart). This sin is not just against one’s spouse, but it’s also against God himself. Now the Jews just asked if divorce was lawful, but Jesus points to remarriage…why? I think it’s because Jesus knew, that too often the lot given by God to us we tend to despise—especially in marriage. So let’s get rid of this wife and get another one, was the sentiment. What do we do in this culture which treats marriage like a disposable tampon resulting in divorce and remarriage? How do we follow Christ’s command to walk in holiness? We do this by grounding our lives in the Scriptures which anchor our tumultuous relationships in the storms of life. We must submit to God’s precepts in Scripture trusting that God is always out for our best interests, never our harm or demise and here’s where trusting Him and knowing Him meet. We live in a culture that’s all about the individuals’ convenience and happiness regardless of the cost—but happiness ironically eludes us. The reason for the aforesaid is because our idols promise bliss and inevitably deliver misery. These idols banish us from properly and joyously relating to our Creator and to one another. The result is often divorce and remarriage which is adultery. Lord, move in this land polluted by adultery and bring a revival of your Spirit where among the redeemed marriage actually mirrors the mystery of Christ and his Bride the Church, rather than the mistress of this present evil age.